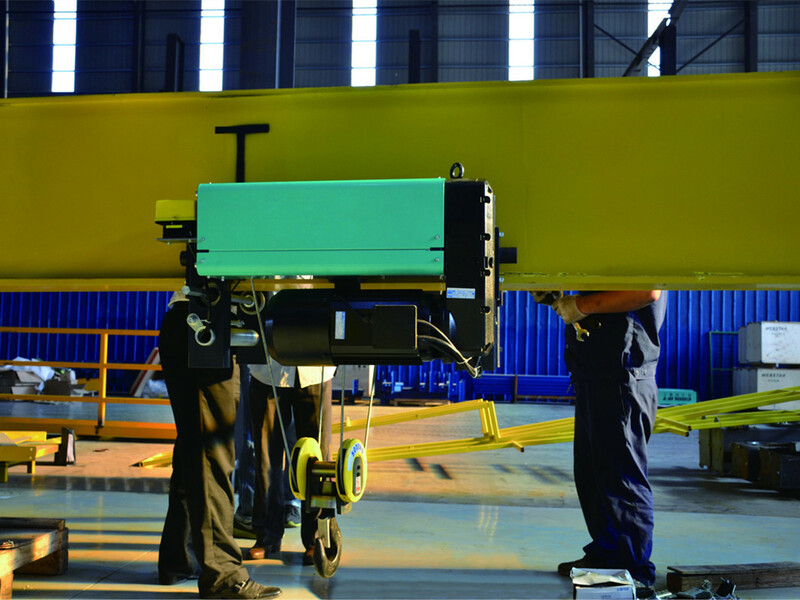 The chain pulley block is the ideal lifting equipment for outdoor and indoor workshop material handling, adopts innovative design concept and advanced production technology to meet the maximizing production efficiency requirements, high working level, safety and durability, reliable quality and safe performance with cost-effective. Chain pulley block lifting capacity range is from 1000kg to 2900kg, can be divided into hook fixed type, electric trolley type, manual trolley. 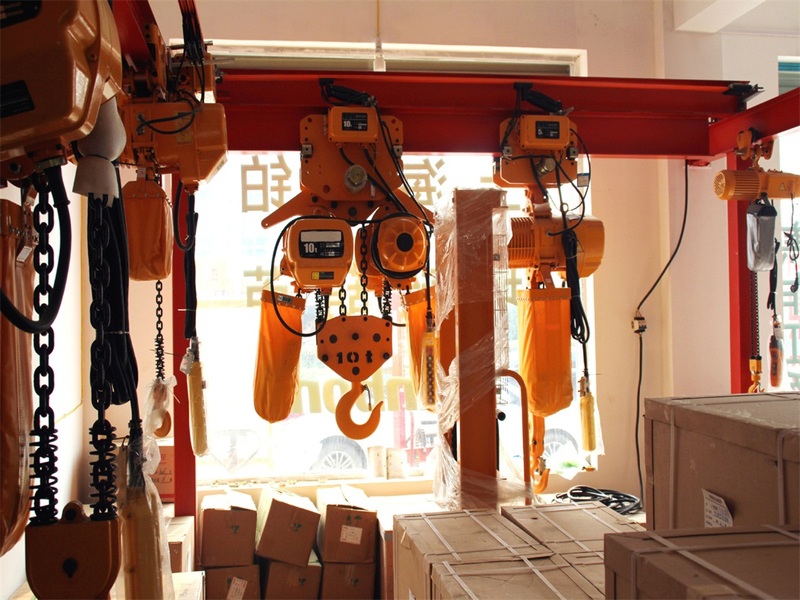 Body shell design: chain pulley block should be paid attention to the materials choice, aluminum and steel, and go through the safety performance test, so that its service life is greatly extended, the unique shape design can minimize the hoist body space. Motor: chain pulley block motor uses double winding two speed motor, cylindrical rotor, F insulation. 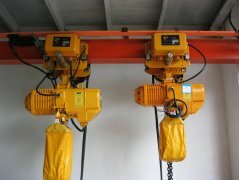 Manufactured in accordance with FEM: 2m hoist working level, hoist load sustained rate is 40/15%. The standard operating voltage is 380V, 3-phase, 50Hz. Protection degree IP55. 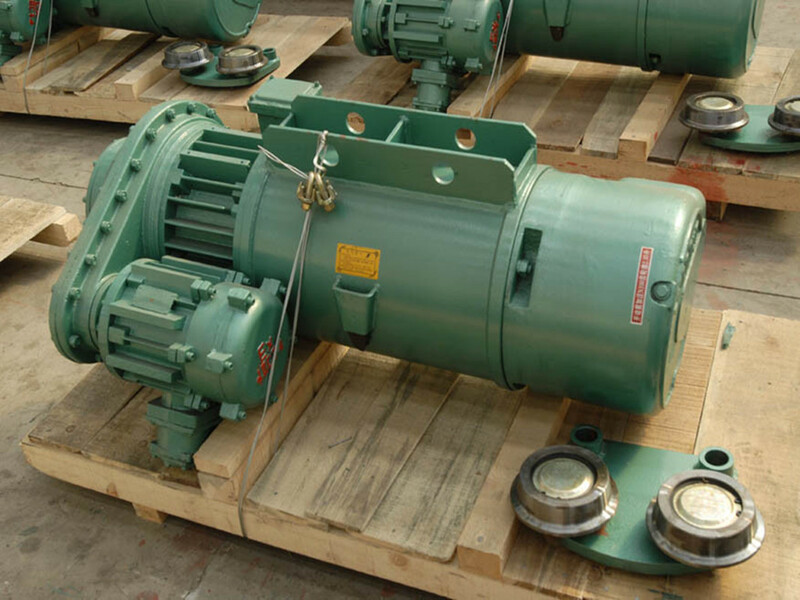 Gearbox: Through the three-stage cylindrical gear mechanism to decelerate, and achieve the rated transmission ratio. The gear is made of high carbon steel, after heat treatment, effectively ensure the maximum service life. With the proper lubricant, the chain pulley block can operate normally from -20 ° C to + 60 ° C.
Brake System: DC electromagnetic brake device, strong braking capacity, steady structure. Brake material is casting aluminum, ensure good cooling, brake coil is wrapped by epoxy resin, brake disc is made of non-asbestos material. Low-voltage control: Strictly in accordance with the safety standards, 24V low-voltage control the chain pulley block through transformers installed in the body. 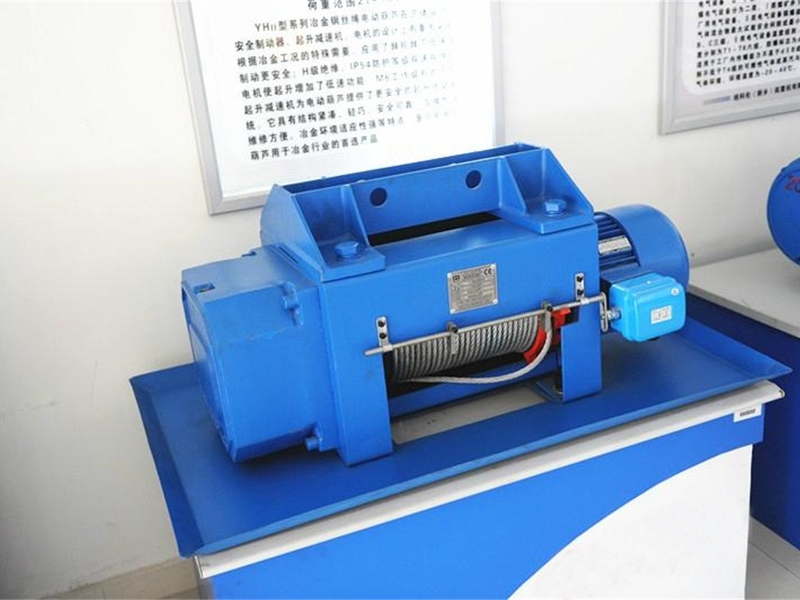 High-quality electronic control components work together with electromagnetic brake device, effectively ensure that the chain pulley block can frequently operate more than 240 times / hour. Overload protection device: chain pulley block adopts friction clutch for overload protection, when the load exceeds the rated load, the friction clutch will play a role in preventing damage to the hoist. Limit device: use electronic limit switch, control the hook trip to prevent clutch overloading usage, effectively extend the clutch and gear service life.